Paid online surveys are declared by many as nothing more than a spam. Hardly anyone believes in them. However, if you have had some good research in your hands, you can find some really amazing online survey sites. You can actually make good money by taking online surveys. My wife has made thousands of dollars through surveys (cumulatively) these past couple of years. When you try many surveys, you will know that some are going to be total time wasters and others are going to be so rewarding that you wish you had done them a long time ago. If you want to earn good from home, then free paid surveys at home can be really helpful. The task of getting your hands on the right and the paid surveys at home is not easy. You have to go through several survey sites to find the best ones. It might take you months to test the sites and jot down the ones which really work. But this hard work will definitely pay off as these will make you earn a nice sum of money from home. So you may be asking, what are some survey sites that actually pay or real surveys that pay you? You are in luck because those sites are right below here. Whether you are looking for surveys for cash only or something else, you'll find those here. I recommend that you sign up for as many free legitimate survey sites as you want. This way if a survey site does not work for you, then, you have others to try. If you desire, you can read the benefits of each survey site below. remember these are free paid surveys. You will find in this post the surveys that pay cash only and those that pay through mail. This is my wife and I’s favorite. We've been using this since the day we started taking surveys. Had we not had success with Ipsos, we would have stopped taking surveys completely. Wouldn't you do it at home while slacking, watching, or just taking a break? That's easy money for gas, grocery, car payment, or something else. Ipsos I-Say is very straightforward. 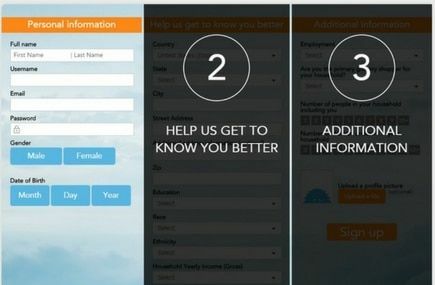 All you need to do is fill out the demographic questions truthfully to determine the surveys you will be qualified for and start taking surveys. That's it. Why is this different than any other survey sites and why we love it? More rewards: The more you take surveys, the more rewards you get through its Loyalty program. You won't see that elsewhere. 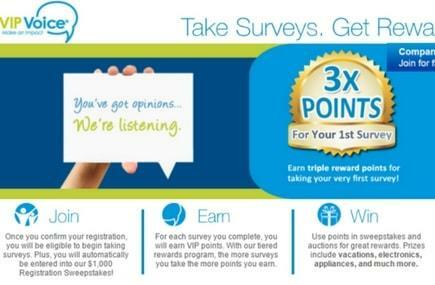 More points: Earn extra points for surveys completed on top of the points you receive from taking those surveys. That's double the benefits of taking surveys. Again, you won't see that elsewhere. Time: Ipsos values your time. If you are disqualified, you'd know it right away. I can't say the same thing for others. What are the experiences of other people? Incentive range in value from 100 to 5,000 points per survey. The more you complete surveys, the more rewards you get and extra points you receive. Those are extra benefits on top of extra benefits. Test and own new products for FREE. More than 7M active members, $30,146,900 paid out, and 20M+ surveys taken. This site is super easy to use and is a money magnet. If you are looking for a survey that pays out big time and one that keeps on giving, then, look no further, MyPoints is and will be your best bet. MyPoints is generous in that you'll not only get extra $5 for taking the first five surveys but also get a chance to earn $50 per survey. On top of that, just spend $20 or more and receive a $10 balance in your account. Imagine this… you could literally earn over $60 (i.e. $5 bonus, $50/survey, and $10 for spending $20) in a few hours. That is amazing. If it's not one of the best sites out there, I don't know what to call it. Holy cow, that's a lot of bonuses seriously. No sites comes close to the overflowing monetary benefits MyPoints offers…. as in no site comes close. Also, if you are looking into making money and saving money when you do your online purchases, MyPoints is for you. Think of it as EBates on steroids just because of the massive amount of money it gives out. Earn $5 when you complete the first 5 surveys. Earn $10 bonus when you shop and spend $20. Take surveys now with MyPoints for FREE. Sign up might close soon and open again next year. Spend $20 or more and receive a $10 balance in your account. With so many sales and promotions going on, now is the time to get the most out of your money. The bonus it offers aren't here for long. Click now to create your MyPoints (Desktop l Mobile) account for FREE and get the bonus, and start seeing money coming in. The window to sign up might close soon. Now, is the time to sign up before it's too late. If you are struggling to get the right site, then, trust MySurvey – the world’s No. 1 paid survey site. Since it started in 2014, it has paid over $32M + to its members. Last year, MySurvey paid over $15M. There aren't any surprises with using it, which won't make you second guess about MySurvey's legitimacy. I even got mixer and crock pot for FREE last year with MySurvey. The best part is that I got to keep them. MySurvey is magic. Suddenly, you'll find yourself with money and products all because you took its easy, quick surveys. Join the world's #1 paid survey site. Don't miss this amazing opportunity. Earn $1.50 per person you refer to MySurvey. That's easy money right there. Get paid via PayPal, merchandise, gift cards, and donations to charity. Click here to create a MySurvey account for FREE now and be one of those people who earn amazing, substantial amount of money from it. Want to earn just by browsing? How about watching videos? How about installing a browser? If your answer is yes to all of these questions, then, Swagbucks is for you. There are a lot of ways you can earn from Swagbucks. Name what you do online and Swagbucks for sure has that to help you earn money. Next thing you know, you” have a ton of points in your Swagbucks account redeemable for cash, gift cards, among others. No kidding I have made over $1,500 with Swagbucks (see image below). The thing with that is I have only been using Swagbucks for a few months. If I can make this, you could make it, too. Click here to start with Swagbucks for FREE and receive $10 bonus when you sign up. If you are tired of trying surveys and not getting qualified, then, your best bet is to use this panel. According to many, One Opinion gets its users the most qualifications out of the dozens of other survey sites out there. This means, the more surveys you take, the more money you make. It's that simple. One Opinion is one of the best paid surveys at home. There's no doubt about that. According to one member, the amount of points you get for surveys are great and they get credited to your account immediately. Many say that most surveys pay $1 per 6 minutes. You are talking $5 for 30 minutes or $10 for an hour. Imagine you can make $10/hour and get paid instantly. If you ask me, that's simply magical. No other surveys can get you the most qualifications than One Opinion. There's no site that comes even close One Opinion on the number of survey opportunities, which in the end could and would make people a lot of money. Many say, earn $1 per 6 minutes. That's $10 per hour. If some people can do it, you can do it, too. Get the most qualifications for surveys compared to a ton of other surveys out there. Click here to create an account with One Opinion for FREE. The registration isn't open for long. So, take this opportunity to open one and be on your way to make money. I heard that some people could earn at least $50 per survey for certain focus groups. This could literally be you. Imagine this, if they can do it, so can you. As simple as that. When you signed up for Survey Club, you are free to provide as much information as you want so you can get qualified for more surveys. What I do like about this platform is that you can join several survey panels, which means you can get more surveys delivered to your email. The more surveys you get, the better chance you can earn more money. Sign up is absolutely FREE. If you are into one of the focus groups such as food groups and get invited, then, you could make as much as $115 per food survey. How cool and jaw-dropping is that? Many people make up to $50 per survey. If you are one of the lucky members, you could be invited to participate in one of the focus group areas and could money like $115 per survey. The big payouts are the reason that my wife and I love this survey site. It's literally a needle in a haystack that puts itself in a different category in the survey site world. Earn $115 on a food survey. Participate even when your not that old. Eligibility age is 13+ from the US, Canada, UK, and Australia. Get expensive prizes such as televisions, appliances, and others for FREE. Do you know that GTM has paid over $30M worth of prizes in 2016 to its members? Yes, it did that. You know that this survey site is the real deal. It even pays you points, which are equivalent to dollars, even when you get disqualified from surveys. You know that's legit. If it's not legit, then, I don't know what to call it. I have heard and read a lot of people cashing out $75 a month and getting FREE products like smartphones that aren't in the market yet, cooking set, among others all for testing and for keeps. Who doesn't like that, right? Why do we love Global Test Market? We love it because we get points all the time and get the way-better chance of getting products than most of the survey sites out there. Earn even when you are too young to have a job. The age of eligibility is 14 years old. Get paid via CASH, gift cards, merchandises, and more. 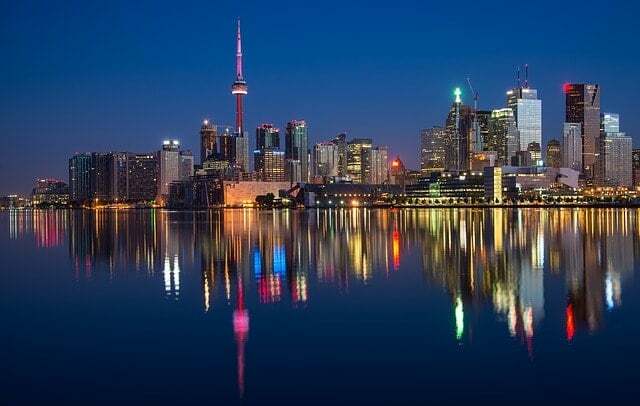 Click here to get a FREE account with Global Test Market and start getting surveys to help you make both money and products. Opinion Outpost is definitely one of the top survey sites online. My sister and I had a talk about making additional money. She talked about Opinion Outpost, and I spoke about blogging, which makes me over $15,000 a month. I have to tell you my sister is an avid user of Opinion Outpost and she makes extra, real money with it. What she's gotten so far? She said she makes $150/month using her spare time. Test products at home for FREE before anyone does and before these products go out in the market. Get a chance to win $10,000 quarterly prize draw. That's $40,000 a year. Redeem points for PayPal, gift cards, sweepstakes, donations, and others. Click here to join Opinion Outpost now for FREE, get a chance to win $10,000, and make more money. The registration isn't open for long. So, take this opportunity to open one and be on your way to make money. Get more when you do more surveys. That's right. The more surveys you take, the greater the points you earn. That's like getting promotion on the job as you increase and expand your work experience. You earn VIP points just by completing a survey. Did I say that once you sign up, you are automatically entered into a $1,000 sweepstakes? Some people have gotten 46 inch Samsung flat screen HDTV, Flip video recorders, a couple of $100s, and multiple $25 dining gift cards. There are a lot of benefits to be had with VIP Voice Panel and less than an ounce of work to put into. You don't necessarily have to take surveys to win something from VIP Voice Panel. That's what it makes so special and unique. Just download the panel and you could win products from gadgets to expensive prizes. It's that simple. Earn 3X the points for the 1st survey you take. Sign up and get a chance to win $1,000. Get a chance to win a trip to Las Vegas or other big cities. Join VIP Voice Panel now and get a chance to travel the world, earn free products, and get reward with gifts without doing anything. Do you want to earn up to $75 per survey? If you do, then, this is right for you. I have gotten multiple $10, $15, and $75 payouts for individual surveys. Vindale Research is one of the online surveys that pay cash instantly. Yes, cash. If you are looking for surveys for cash only, this is the site for you. I have made over $1,100 with this survey panel. Read the post here. What I've gotten so far? Over $1,500 in cold, sweet cash deposit in PayPal. Earn additional money via cash contests, video screenings, focus groups, etc. There are a ton of way to make money from Vindale. Earn $2 just for signing up. EarningStation, one of the few surveys for cash only, is similar to Swagbucks in that you can earn by watching videos, taking surveys, using coupons, and shopping online. There are times that my wife makes $5 to $10 bucks an hour, which is pretty good when you're just sitting on your couch and doing nothing. That's pretty amazing especially when a lot of survey sites pay cents every hour or so. For us, EarningStation is a gold mine waiting to be discovered. EarningStation will send you an email about surveys you are qualified 100%. You will earn points called StationDollars, which you can redeem for gift cards. It is a needle in a haystack within the survey site industry. Seriously, it is. Only a handful of other sites like Swagbucks can deliver the power to help you make money doing almost anything you do on and offline. If I can't call it awesomely top-tiered survey site, then, I don't know what to call it. Earn $10 after 5 website sign ups. Earn money even on current promotions. Click here to create an account EarningStation for FREE and start taking surveys to make you money. Period. The registration isn't open for long. So, take this opportunity to open one and be on your way to make money. Do you pay the internet bill? If yes, then, might as well make your internet usage count. Earn rewards without actually taking a survey. Sign up today and be one of the only few people who make money via surveys without actually taking surveys. If you do not like taking surveys because of the time you have to dedicate, then, this is for you. The only things you need to do are sign up, download, and install Neilsen Digital Voice's app. That's all you need. Register your devices and start earning rewards. Take survey and get rewarded for it without taking an actual survey. Take survey via Neilsen, a well-known company trusted by thousands of families all over the world. Essentially, you are in good hands. Get a chance to receive a portion of $10,000 prize. Download Nielsen Digital Voice surveys now for FREE. Toluna Opinions is an A+ rated business and global company with offices in Europe, North America, and Asia Pacific. The better than stellar rating and global offices around the world say a lot of good things about this company. You can earn cash, FREE products no one has and/or not in the market yet, gift cards, merchandise, retail e-vouchers, and so many more. To earn these great selections of rewards, all you need is to take surveys, test products for FREE, and refer a friend (optional), if you want. Some avid Toluna Opinions survey takers said there were frequent survey invitations and other fun tasks on its site. Also, it has always paid out without a problem and offer PayPal as well as gift cards. It is a worldwide survey site, which means that a lot of people from all over the world from the USA to Thailand are using this survey site. If you are from the US and move elsewhere in the world, chances are this site is present. Plus, it's a site with an A+ rating with the BBB. That means the world. With a lot of survey sites being tagged as scam, you can't go wrong with Toluna Opinions. Select from wide reward options (One of the most extensive options in the survey site industry). Earn points through surveys, product testing, and friend referral program. That's it. Earn 500 points automatically as a new member. Click here to create an account Toluna Opinions for FREE and start taking surveys to make you money. Period. The registration isn't open for long. So, take this opportunity to open one and be on your way to make money. Do you know of any other best paid online survey sites? Which one of these best paid online survey sites you like the most and which ones you don't?